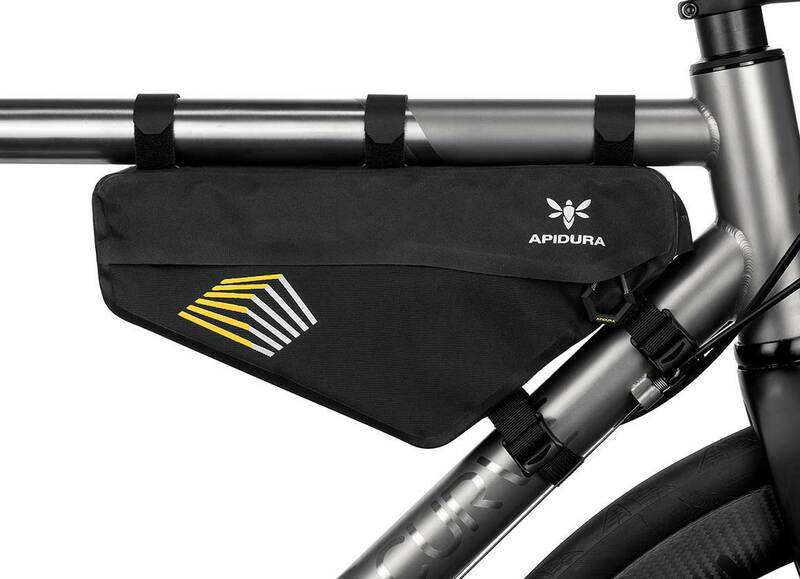 Designed for the needs of ultra-distance competition and audax, the Racing Frame Pack utilises the area inside a bike’s main triangle, creating a lower centre of gravity and enabling more neutral handling. 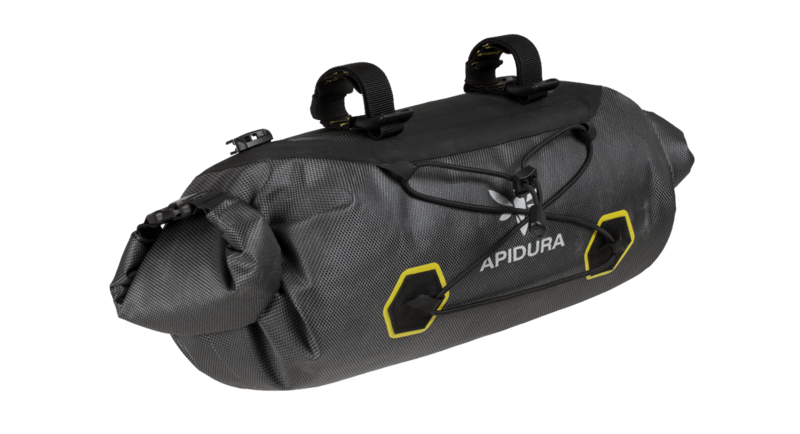 This makes it useful for storing heavier, bulkier items, as well as items that need to be accessed on the go. 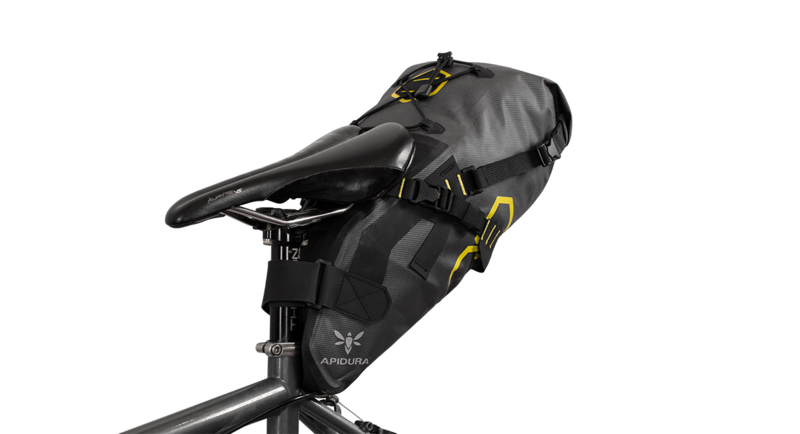 The Pack is constructed from a waterproof, lightweight laminate created specifically for Apidura, and has been shaped to provide a universal fit, for use with any frame. 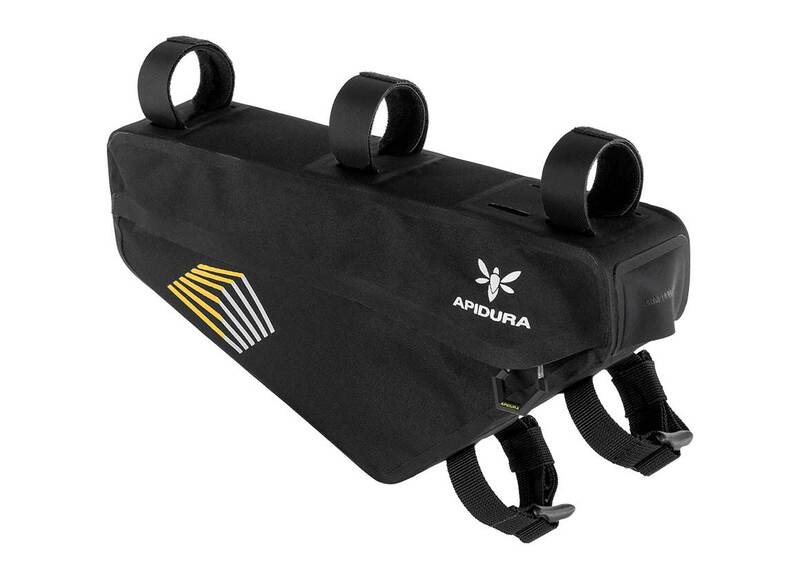 The three velcro straps are lightweight, easy to use, and can be set in multiple positions to ensure compatibility when used alongside a Top Tube Pack. 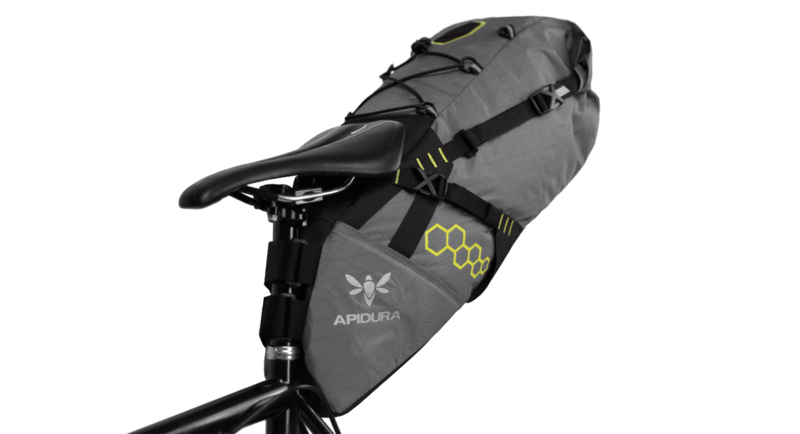 An integrated thermoset structure adds stiffness and allows the Pack to be exceptionally minimal and lightweight, and a flexible pocket divider securely holds contents in place. For added convenience, a protected cable port enables charging of devices on the go.